Palm Beach, Fla. – April 1, 2019 – Barrett-Jackson will sell 16 vehicles, all at No Reserve, from the renowned William “Chip” Watkins Collection during the 17th Annual Palm Beach Auction, April 11-13, 2019, at the South Florida Fairgrounds. Over the last decade, Barrett-Jackson has become a magnet for prominent collectors seeking to buy and sell vehicles. 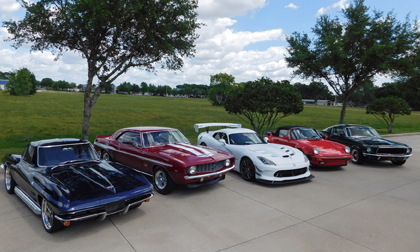 The Chip Watkins Collection features 16 vehicles, representing seven decades of automotive performance, including a including a 1958 Chevrolet Corvette Custom Roadster (Lot #748) featuring an LS2 engine, Corvette C4 polished suspension with coilovers, power disc brakes and a Dana 44 rear end.